2016 will be a busy year for Rainbow Chorus, our MD Aneesa Chaudhry, Pianist Mojca Monte and the Chorus’ members and volunteers. As a Chorus we are proud to take part in many events that support the LGBT community such as IDAHOBIT, Trans Pride, Trans Day of Remembrance and World Aids Day to name a few. We also have two main concerts at St George’s Church in Kemptown, Brighton, the first of which will be on 25th June 2016 and the second in December. However before that we will be performing a medley of songs from our current repertoire at our Sing Out! event as part of Brighton Fringe on 23rd May – visit our Performances page for more details. The Chorus has also been invited to Amsterdam in August to take part in the International LGBT Choir festival and sing in the famous Concertgebouw. Our MD Aneesa will also be travelling further afield to Denver as MD of the European Queer Choir who will take part in the largest LGBT singing festival in the world. 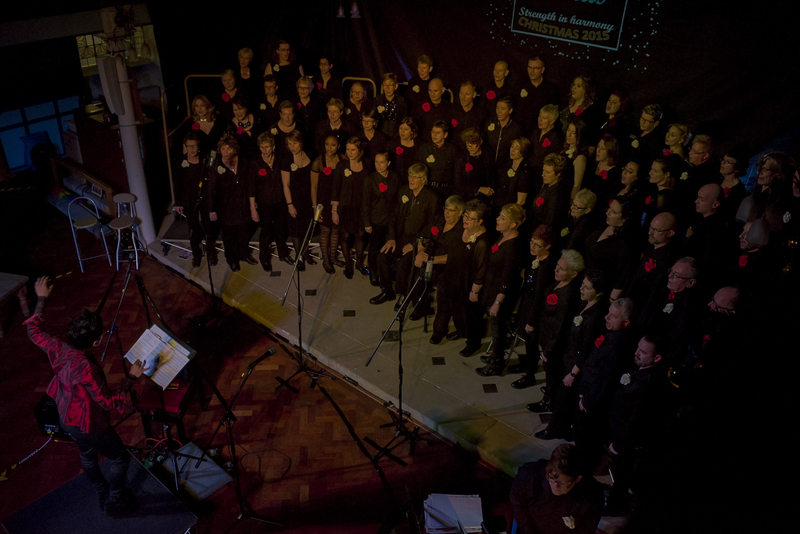 The Chorus has also set up a completely new group RC+, which is open to everyone from the LGBT community to join and sing in a relaxed environment without the pressure to perform. The group is now growing and for some this is their first introduction to singing in a group. So if you fancy coming along visit our “Joining us” page for more details. We look forward to seeing you at our concerts or other events we perform in during 2016 and hope you have as much fun as we do.